Medical admission test circular 2018 – 2019 will be published soon. 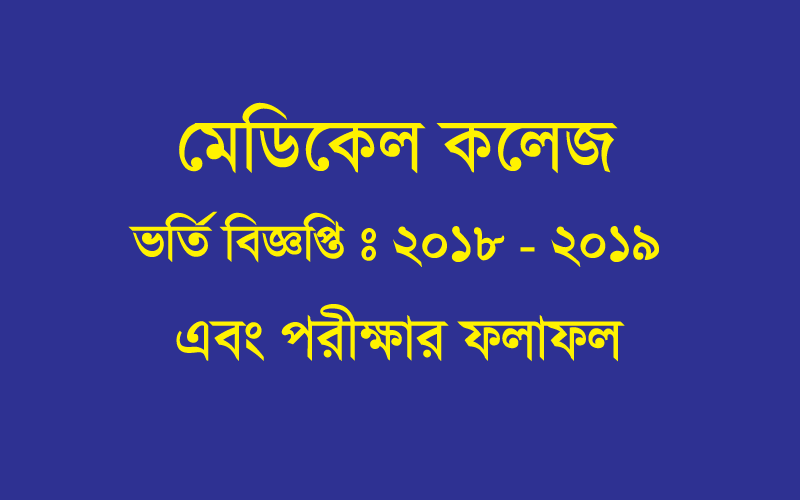 See here the admission circular and result 2018 – 2019, official website, application starting, ending, examination and exam result publication date. Application starts: 27 August, 2018. Application ends: After 7 days. Examination date: 5 October, 2018. Result publication date: After 2 days of examination. See the medical admission circular 2018 - 2019 below and apply now.